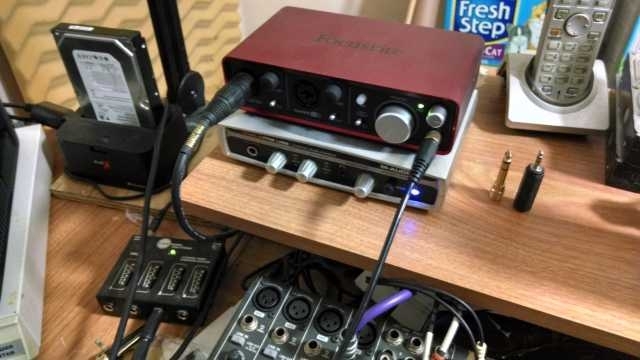 Focusrite 2i2 with two MXL Ribbon 144 mics? Good possible beginner set up? I have heard Focusrite is very popular studio name brand, and have been told that the Ribbon 144 mics are decent beginner mics. Anyone have a set up like this? I would just be recording my violin in stereo, with whatever basic software I get with it or pair with it. Might even build a small recording booth. If anyone has one of these or one like it do you prefer to record with mics or an input? I've got the 2i2 & use it with Reaper. It was a nice basic setup but just started to have some driver issues with reaper right before my computer finally gave up the ghost. If you can get someway to do input/control midi as well you can do alot. Only mics were one Blue Spark and some cheap radioshack model. i was fairly happy with the setup for basement projects but didnt really have a decent room or monitors. I usually micd acoustic gtr, vocals & violin with the blue and could get some decent sounds that way. Recorded direct for electric guitar as i got better sound that way than trying to mic my amp in that room with that equipment. Now i just use my wife's ipad since my computer died. @fiddlionist, I actually just 'upgraded' to the Scarlett 2i2 and an MXL R144 here. My old setup was starting to show its age (M-Audio mobile Pre USB and AT2035 SC Mic). You've probably already picked up the interface or something similar but here's my initial thoughts on both for what it's worth :). MXL R144: For an entry level Ribbon Microphone I do have to say I am thoroughly impressed, which takes a bit since I'm so analytic in nature and have been at the recording game for a decent tenure now lol. 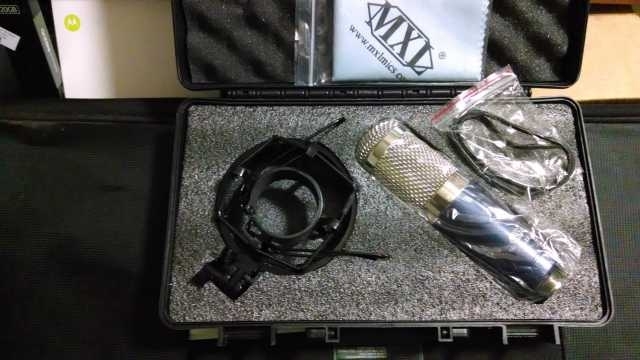 For the price, it is a great microphone especially considering the next jump at least locally would be to a Royer 121 which is about 1000 dollars beyond budget. Very crisp and clear microphone though it does take quite a bit to saturate the sound with the gain. This is to be expected with a ribbon mic though. A CloudLifter or similar item would do the trick to bring up the gain a bit more. There is a little bit of a low end resonance with this mic but can be filtered out in any DAW EQ while editing easily. All in all if you haven't picked one (or 2) up yet, go for it! It's definitely not a Royer but will do the trick nicely. An added bonus is the cushioned case for the shock mount and microphone that come with it as well as an extra set of shock mount bands (which we all know wear out after a couple years) and cleaning cloth! Hats off MXL! FocusRite Scarlett 2i2: I can't say enough about this interface, honestly... Not going to go in to everything at all but the internal components are wired with Mogami wiring. This says a great deal about the quality of the products they put out. I only trust Mogami in my studio for the cabling going from the mixer to interface/mic etc. and upon seeing this endorsement on their box I did get curious yet skeptical (typical here lol). After hooking everything up and doing some testing of the drivers, DAW integration etc. I have zero complaints. The sound is extremely clean and the drivers on my system work flawlessly (Windows 7 x64) even running on 96000Hz. My old interface can't even come close to comparing to this one. The drivers were terrible and faulty, max recording rate was 48000 that never even worked properly and the shielding inside must have been made of plastic with no foil at all since I could clearly pick up radio stations at times... After researching more on the FocusRite products, they use the same internal component quality for their entry level interfaces all the way up to their Saffire line which once again showcases their attention to detail and customer satisfaction. Highly recommend this interface for entry level or even intermediate use! Once again, you can't really beat the price for what you get either. Thanks for the thorough response. I still haven't made a purchase yet due to $ but I know which direction to take when I do.